The thatching materials used in his time, were either oat or wheat straw, fixed on to a turf base. These were either sparred on or stobbed into position. Turf, also forming the most common type of ridging. As we shall see, the poet would have had a good knowledge of thatch and its dangers. 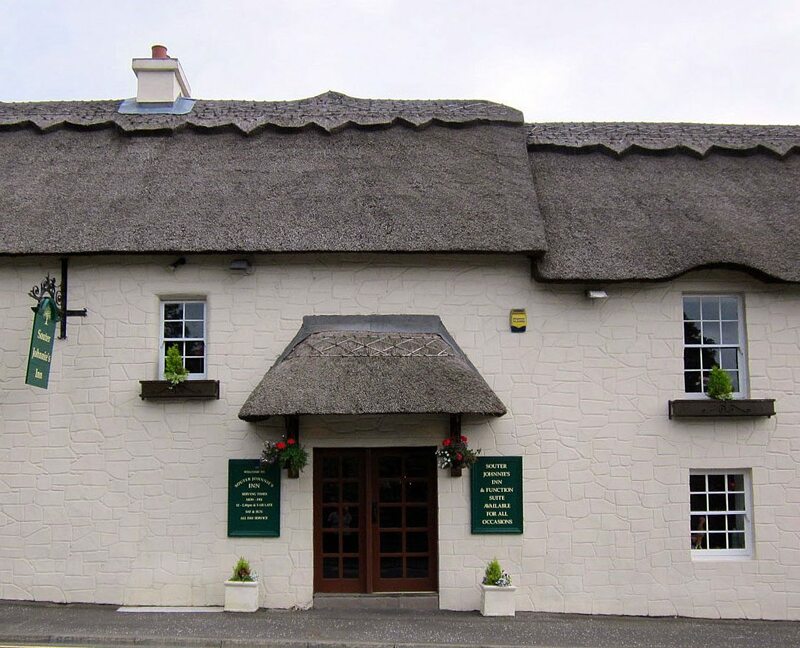 There are five preserved, thatched buildings associated with the poet, mainly in and around the town of Ayr. They are in the care of several organisations; all welcome visitors. 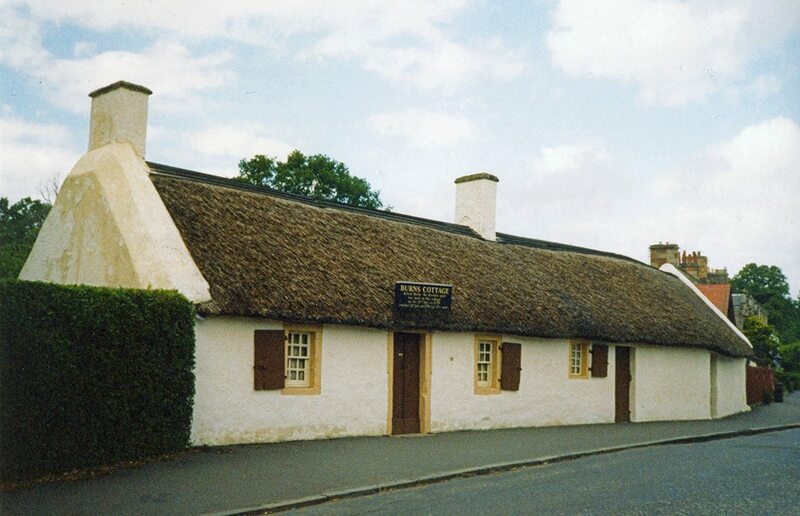 The most famous, Burns’ Cottage, lies in the suburbs at Alloway. 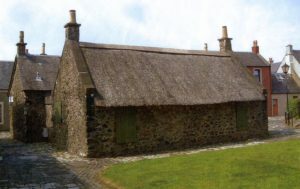 This cottage was built by Burns’s father, in 1757. It was a typical But and Ben dwelling; with the family at one end and their animals at the other. The walls are of clay. The original roof would have consisted of branches and brushwood; thatched over in a local style. As well as building his new home, the poet’s father would have almost certainly roofed it. Professional thatchers were almost unheard of, in this area, at this time. Robert was born here, in January 1759. The growing family moved on in 1766, the elder Burns selling his home, to the Incorporation of Shoemakers, from Ayr. They turned it into an ale house. It soon became a very famous one; as the poet’s stature grew. Keats and Wordsworth both paid their respects here. The last ale house customers leaving in 1881. The cottage was then returned to its original state; as it remains to this day. This humble dwelling, of clay and thatch, is an extremely rare example of an eighteenth century, smallholder’s cottage. 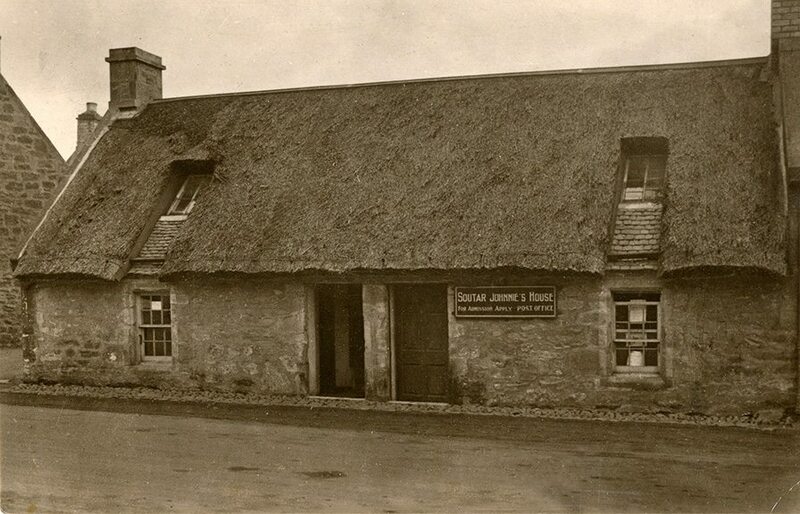 The image below shows the cottage as the former pub, when an ’A. Ritchie’ held the licence. Perhaps dating from the 1860’s. A mossy straw roof covers the building, topped with a timber ridge. The gent in the highland dress, no doubt earned a few pennies guiding the visitors. Earlier images show a turf ridged roof. To Robert’s father, the next parish always held better prospects, the family moving on to the thatched, Locklea Farm, in Tarbolton. Here, in 1780 with a group of friends, our man help set up The Bachelor’s Club. The meetings being held in the upper room, of John Richard’s ale house; the rules were strict, no swearing or bad behaviour. Only threepence could be spent on drink; but included a toast: ‘to our mistresses’. The tavern eventually became houses, by 1930 it was in a poor state, facing demolition. The National Trust for Scotland, then stepped in, restoring Robert’s meeting room, to a state he would probably recognise. 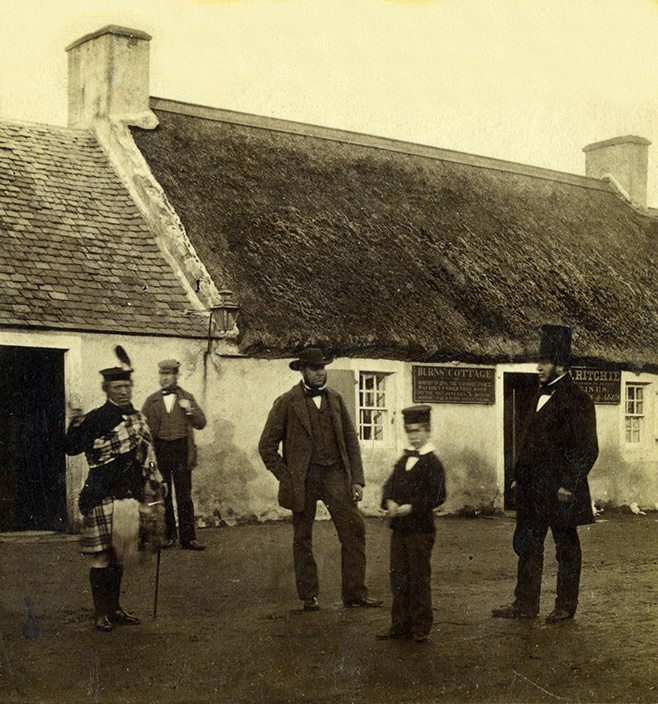 Tarbolton… Half a century after Burns’ time and still full of thatch. 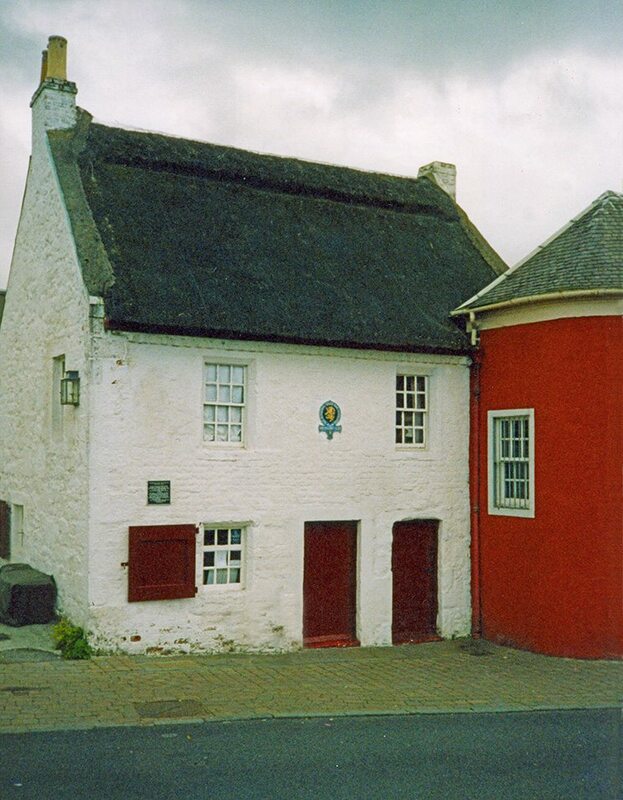 And John Richard’s Ale House; one of the first properties, saved by Scotland’s National Trust. 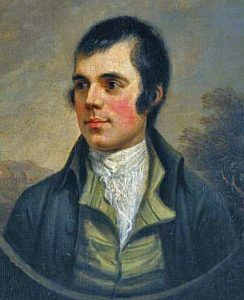 In June 1781, the budding poet moved north; to the port of Irvine. 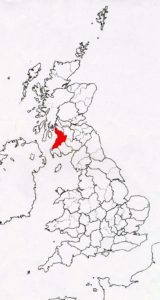 His uncle had offered him a partnership, in his flax dressing business, situated in the Glasgow Vennel area of the town. 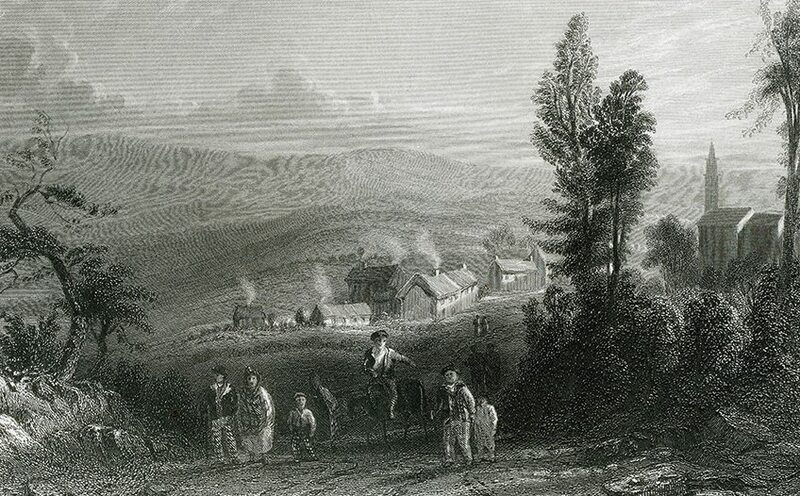 In 1786, in debt and in trouble with a pregnant girlfriend; Robert considered emigration. But how to raise the nine guinea fare to Jamaica? Friends persuaded him to publish his work; the famous Kilmarnock edition being the result. He became, what we would call an overnight sensation. The girlfriend became his wife; the trip to the West Indies forgotten. Three years later, it was suggested he write a ‘witch tale‘; to accompany a book on Scottish antiquities. 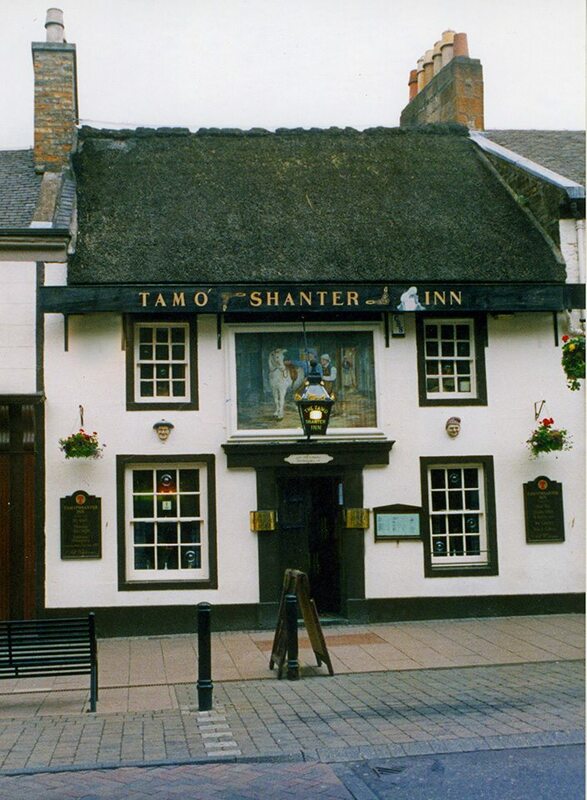 The result was, Tam O’ Shanter, one of his most famous works; and the saving of two more thatched buildings. 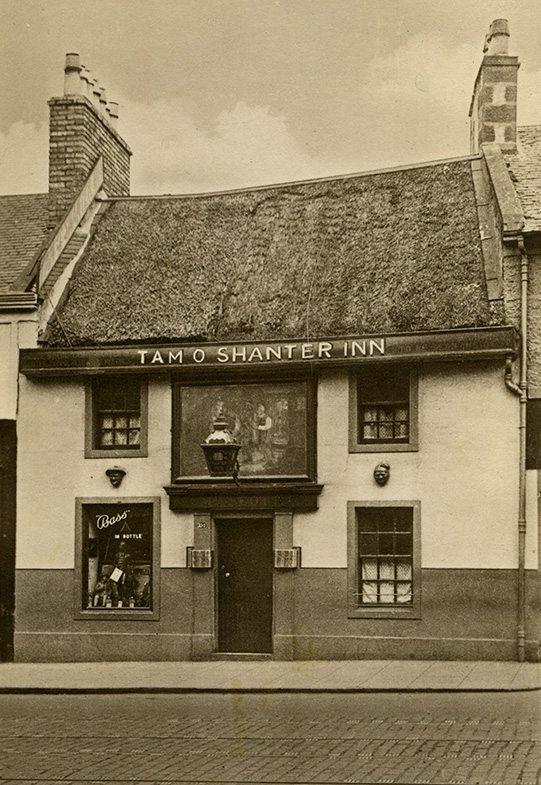 The Tam o’ Shanter Inn… Still a lively town centre pub. 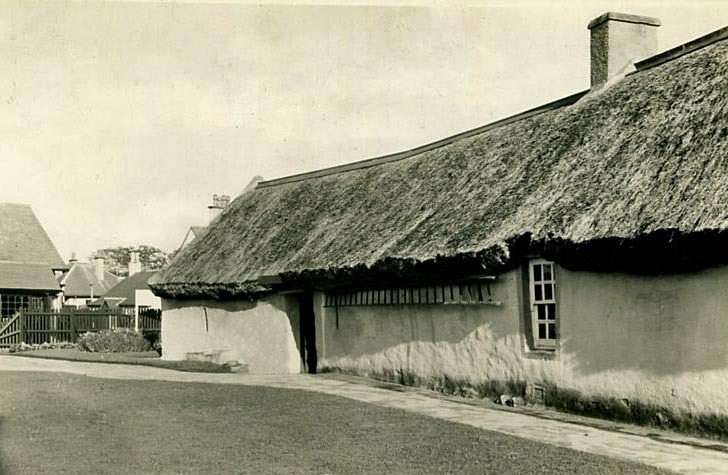 The roof ,on the left image, from around 1920, is probably a stobbed thatch. With a timber ridge. The modern roof, is of Tay water reed, topped with turf. New build… At Kirkoswald. 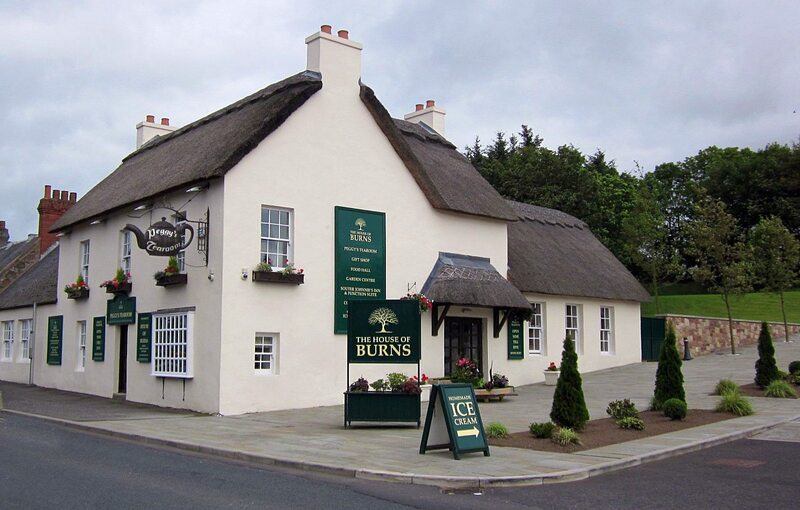 This recently-built tea rooms and neighbouring ‘Souter’s Inn’, no doubt rely on the stream of visitors hereabouts… Photos; copyright & thanks, Billy McCroriea, under creative commons licence.